The Fraser Basin Council thanks all who participated in the first phase of a three-phase human health risk assessment and brought forward health concerns about oil and gas development in northeastern British Columbia. 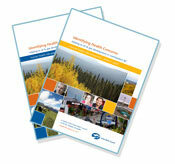 FBC carried out Phase 1 for the BC Ministry of Health and submitted a report at the end of March, 2012. The report and a related compendium are available on the Ministry’s website. Phase 2 is now underway, carried out by environmental and health consulting firm Intrinsik for the Ministry. The Human Health Risk Assessment is a three-phase project to identify, explore and assess concerns about human health relating to oil and gas development in Northeastern British Columbia. The full risk assessment consists of three phases: 1) a public engagement to identify health concerns, 2) a human health risk assessment based on findings from Phase 1 and 3) a report to the Province, stakeholders and the public.